Our LED lights are designed with excellent heat dissipation to increase product lifespan. Lights have built-in LED, 50,000 hours average LED lifespan means it lasts up to 17 years when operating 8 hours per day. ETL Qualified, 700 lumens light output, cut down your electricity bill by replacing your old incandescent bulbs to our 9Watt LED lights. There are 3 types of our Wall Mount Security Light. First, automatic detection. 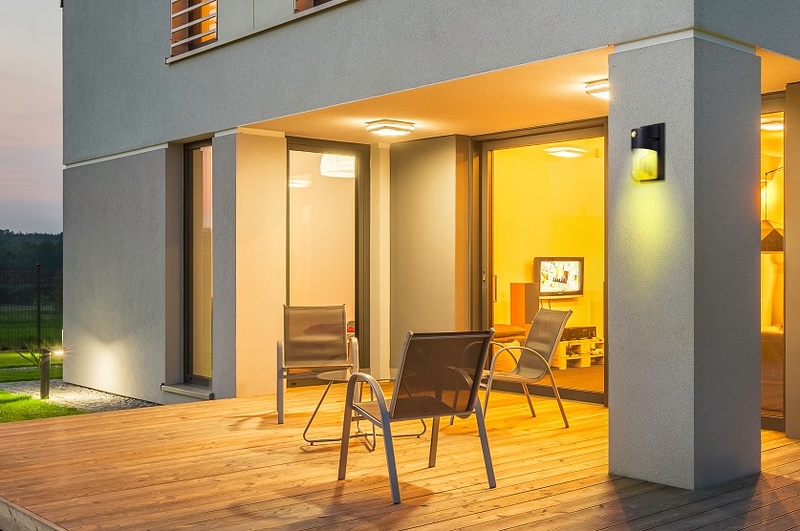 When motion is detected range within 6m, the motion sensor lights will turn on automatically in darkness, which provides your illumination for security and safety protection. The light will be switched off after the motion is stopped or out of the detection range. Second, with a wafer, automatically light at the night. The light has a small photocell sensor, which can detect the sunlight lux level. Light OFF at sunrise/daytime and light ON at sundown/night. Third, controlled by the wall switch. Turn on the wall switch, the light will be turned on. Ideal for commercial and home applications, for example, parking areas, walkways, garages, stairways and other outdoor spaces requiring reliable safety and security lighting. No difficult installation anymore! Quick and easy to install with included wall-mount hardware and step-by-step simple installation guide.